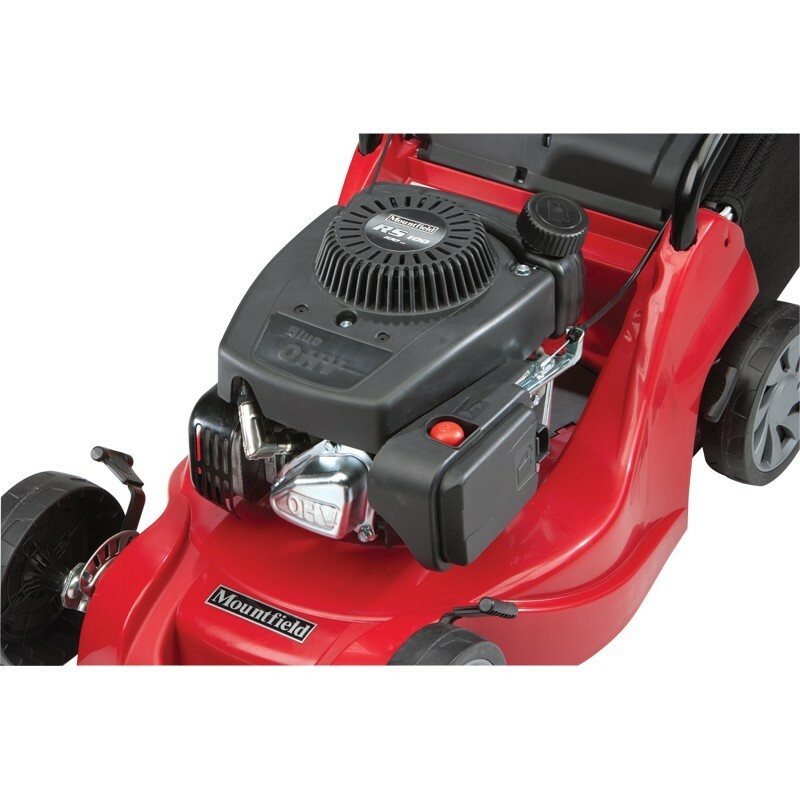 Powered by a Mountfield 100cc 4 stroke engine, the HP414 hand propelled lawnmower is ideal for small to medium sized lawns. 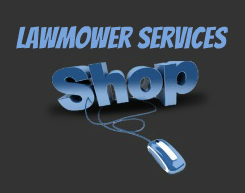 The engine is very easy to start, with a standard recoil rope system and will give many years of trouble-free mowing. Each wheel is fitted with a height adjuster, offering 5 pre-set cutting positions from 25mm to 70mm, so adjusting the height of cut is quick and simple. The easy to remove collector holds 40 litres of grass and the mower can also be used without the collector, if you wish to leave the cuttings. This great little mower is a joy to use and extremely economical to run. 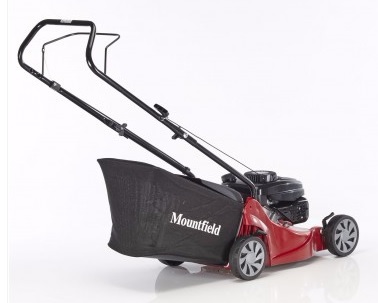 With a polypropylene chassis in 'Mountfield Red', it will give you many years of service and have small to medium sized lawns looking lush, neat and tidy in no time. 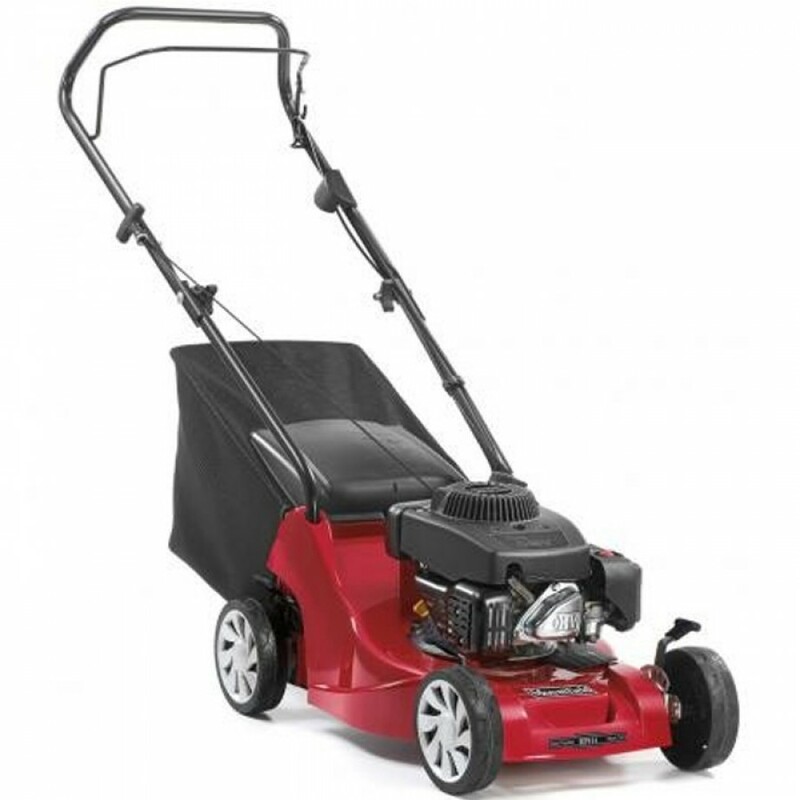 If your lawn is on a slope, you might want to consider the SP414 self propelled model.